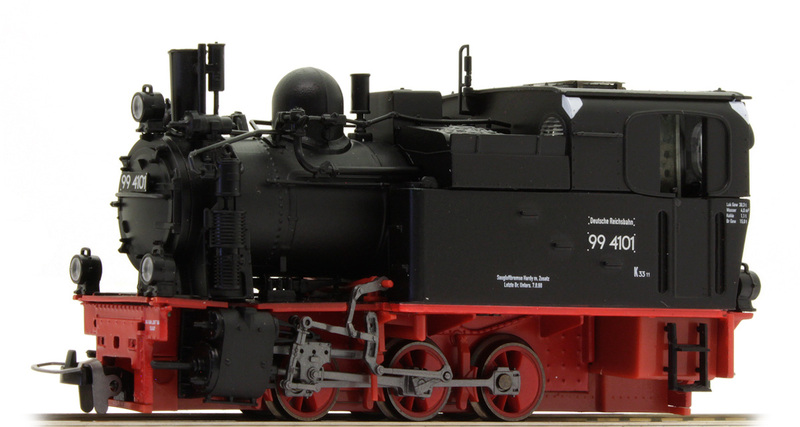 Model: The Tillig 92610 German BR 99 HOe tank locomotive is one of the most attractive little tank locomotives ever made words cannot describe its beauty. It is highly detailed, all metal and the number of separately applied parts is truly amazing. Best of all is the running performance, the model is equipped with a high quality can motor with flywheels and a high precision gearbox. The gearbox consists of about 20 gears to srtep down the speed, the slow speed performance is really remarkable. Model is also equipped with ESU 4.0 Sound Decoder and LED lights. The BR 99 would be a great model for any narrow gauge layout. Tillig offers several versions so add one to your collection today.